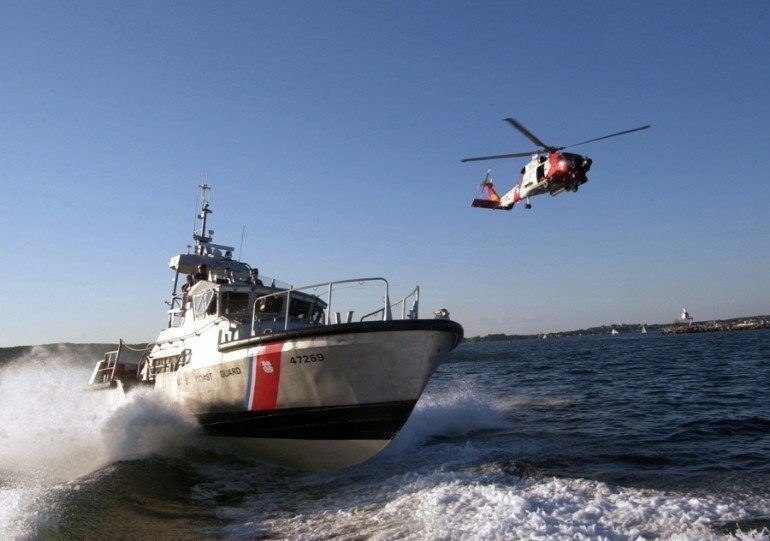 A tugboat crewman suspected of suffering a heart attack was successfully hoisted to safety by US Coast Guard (USCG) helicopter personnel on Thursday. The incident occurred on Lake Michigan. The man was reportedly experiencing chest pains when the call or help was made. A USCG helicopter from Air Station Traverse City in Michigan medevaced the man from the Joyce L. Vanenkevort to Ephraim-Fish Creek Airport in Ephraim, Wisconsin from where he was taken to hospital. Neither his condition nor his identity had been revealed as of early Thursday afternoon. Stormy weather on Lake Michigan required the Joyce L. Vanenkevort to change its course until it was in suitable conditions for the helicopter to safely make its rescue. After the pick-up, the bad weather also necessitated a change of course for the helicopter which had originally been headed for Sturgeon Bay Airport, also in Wisconsin, before heading to Ephraim.